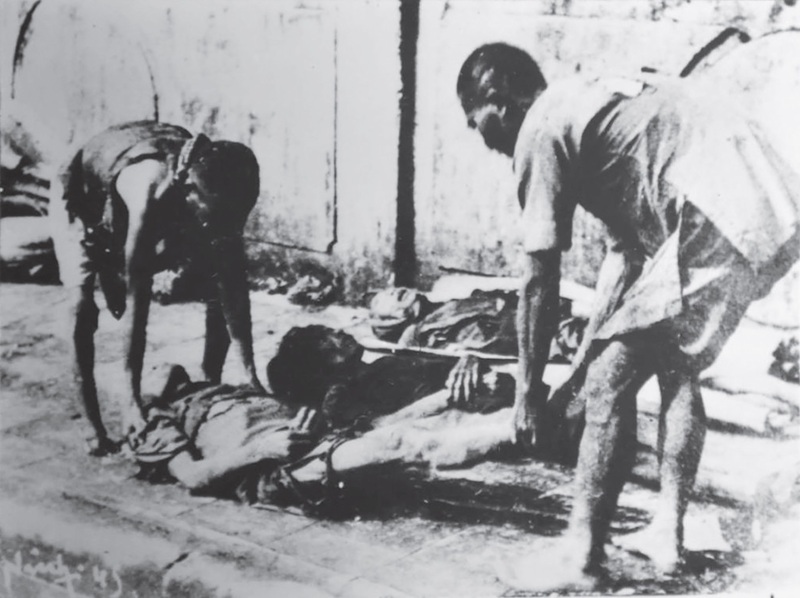 For the people of the Red River Delta, and even parts of north-central Vietnam, already in the throes of famine, the timing of the Japanese coup de force on 9 March 1945 was a disaster. It could not have been worse, especially as the military takeover stymied the already weak Vichy French relief effort. 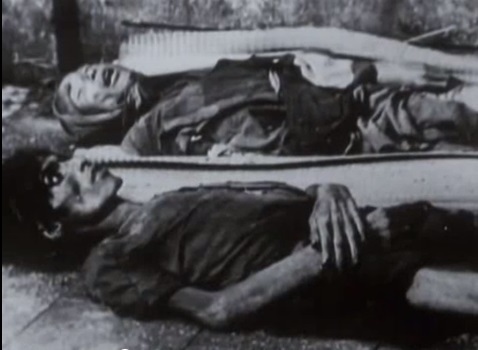 Reaching its zenith in March–April 1945, deaths stemming from the Great Famine eclipsed in scale all human tragedies of the colonial period in Vietnam, even if the absolute number of deaths (from 1–2 million) remains disputed. 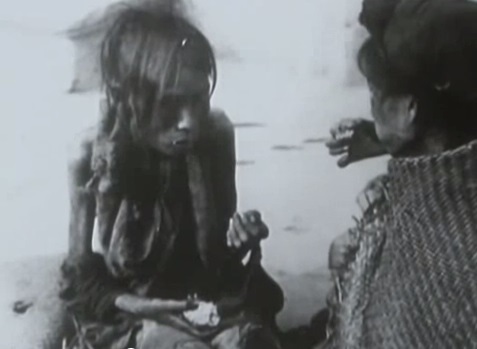 The threat of famine was omnipresent in parts of Vietnam and well-known throughout the country, especially after droughts and floods. Even setting aside internal demographic pressures, massive Japanese grain exports along with Allied interdiction of rail communication severely limited the ability of the northern Vietnamese population to feed itself. Those on the brink of subsistence – the mass of peasant producers – were already pushed to the wall by floods and typhoons in late 1944. Their impact is well captured by Duy Hoa, who lived at Phat Diem in hard-hit Ninh Binh in the lower delta. Writing on 2 February 1945, he observed that ‘[t]he rice buds had scarcely formed when they came under prolonged inundation, leading to the complete loss of the harvest … We have not seen a flood of such size for 10 years … no reserve of rice exists.’ At the climax in mid-February1945, many among the most indigent and vulnerable began turning up in the streets of provincial towns and even Hanoi. For them, begging, scavenging, theft and even brigandry were the only recourses. Viet Minh recruitment arising out of the famine likewise cannot be ignored, especially where they broke into rice stores and offered some kind of parallel distribution system. The natural disaster was made even worse by a Japanese-imposed rice levy administered by the Vichy administration. Even where a surplus could be diverted to the marketplace, speculators and opportunists diverted rice to an illegal black market, further driving up prices and sinking even those with fixed incomes – the petty salariat, the day workers and others. 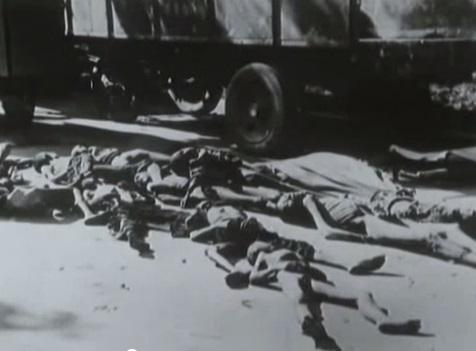 At the end of the day, a belated Vichy logistics rescue operation failed, leading many Vietnamese to believe that the French had lost the right to govern. While the returning French would, in late October, begin to ship southern rice north via Haiphong port, it was too little and too late for the mass of the population, also burdened by the prior arrival of some 200,000 Nationalist Chinese soldiers under General Lu Han. 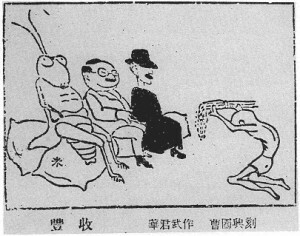 As with Ho Chi Minh’s desperate plea for international food relief (unheeded), the Great Famine etched itself upon the national psyche. The newly established Democratic Republic of Vietnam made agricultural recovery a priority for decades to come, notwithstanding severe errors in land reform and other setbacks. Setting aside the recriminations and blame for the tragedy, it must be said that, even if northern Vietnam had become increasingly dependent upon imports of southern rice over the previous two decades, France could hardly be blamed for the demographic increase in the north. If the law of unintended consequences has to be spelled out, then it is clear that continued rice requisitions demanded by the Japanese, in a situation of administrative breakdown and even semi-anarchy after the Japanese coup, magnified the impact of the disaster. According to one hapless survivor, Di Ho, an indigent but literate farmer also from Phat Diem, in the early stages of the famine, Japanese soldiers descended upon the marketplace, stripped it of rice and other goods, and departed without paying a sou. 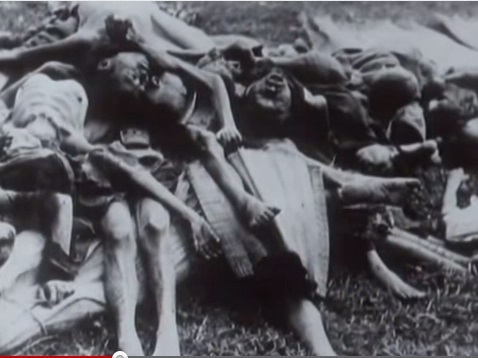 Human failure and agency combined to betray the people of northern and north-central Vietnam. Affirming the thrust of Amartya Kumar Sen’s general arguments on famine, food distribution mechanisms broke down, not in a situa­tion of absolute scarcity as in some conflict situations, but in an environment where all signs pointed to the urgent need for administrative action, namely in moving surplus rice north from the Mekong Delta. Undoubtedly, more rational and humane policies directed at northern Vietnam would have seen more land under rice cultivation, less rice diverted to industrial alcohol, etc., corn and other crops planted as a backup, fewer forced deliveries, greater availability of food crops in the marketplace, and the release of stockpiled rice – some of it rotting in Japanese-controlled warehouses in Saigon. 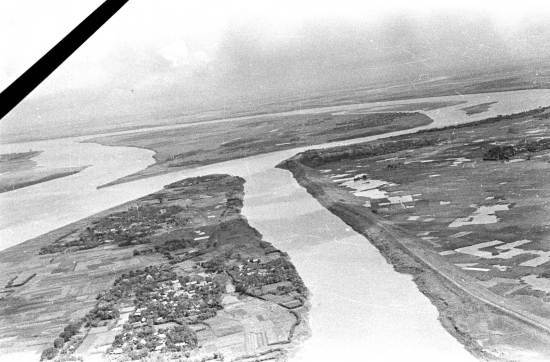 This was not the end of the story because on the cusp of the August Revolution, the mid- and lower Red River delta, Hanoi included, was inundated in one of the most devastating floods ever experienced. While many had high hopes and dreams following Japan’s surrender, the first priority for most was to ensure enough food to avoid starvation. After its dismal failure while acting as agents of Japan, the French ability to deliver this top priority was severely tarnished. For tactical as well as genuine reasons, the Viet Minh presented itself as the party that would ensure, at a minimum, that its citizens would survive. See also Gunn 2014, Sen 1983. 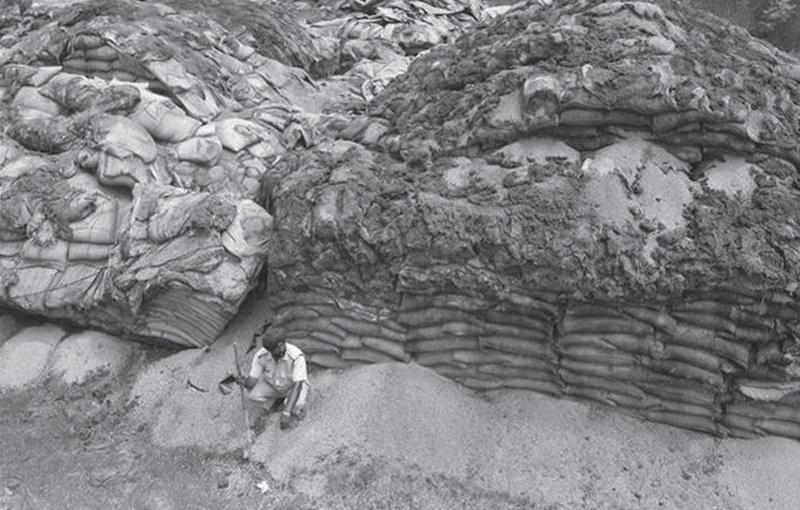 Grain was kept aside for soldiers and others, but difficult storage conditions led much of it to rot.